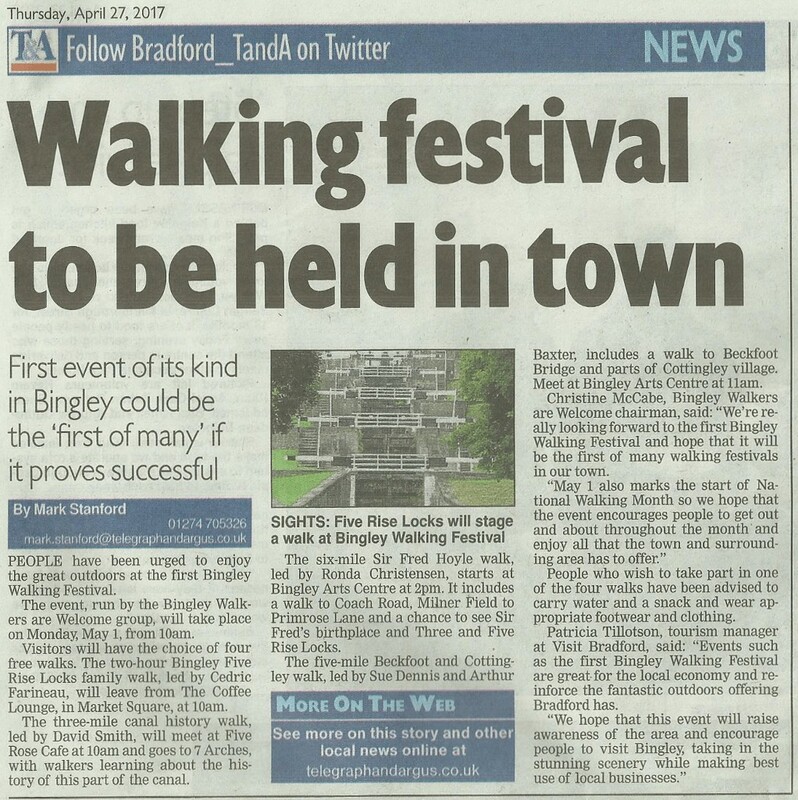 First event of its kind in Bingley could be the ‘first of many’ if it proves successful. 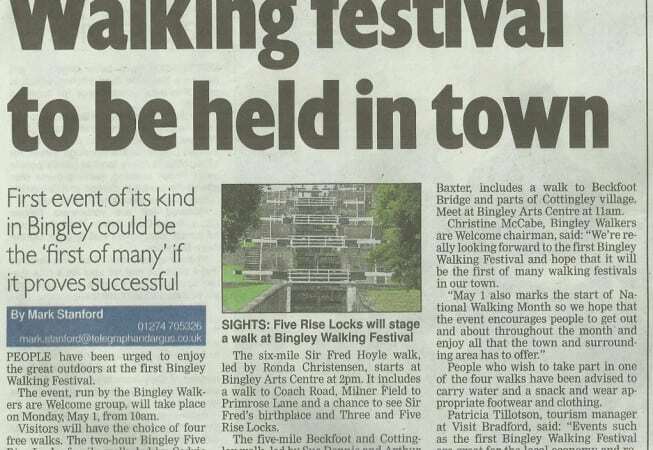 People have been urged to enjoy the great outdoors at the Bingley Walking Festival. The event, run by the Bingley Walkers are Welcome group, will take place on Monday, May 1, from 10am.